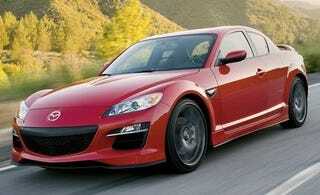 Step one: Take an RX-8 with a broken engine (any year will do). Step two: 2.3 litre Ecoboost for a Ford Mustang. Step three: put 2.3 in the RX-8, along with whatever it’ll take to make it work (and maybe a few performance mods). But seriously, I think it’d be a fun combination. LS swaps are overdone, might as well mix it up, right?